The cold weather has me interested in soup, a recurring theme in this week's Feed selections. Above: West African Peanut Soup. New York Times: “A Change in the Kitchen,” by Julia Moskin. Quick, name a woman chef. Wasn’t that hard, was it? Alice Waters, Michelle Bernstein, April Bloomfield, Nancy Silverton, Stephanie Izard, Alexandra Guarnaschelli, Anita Lo, Carla Hall and Gabrielle Hamilton might be among the names that easily roll off your tongue. A generation ago, you’d probably have said “Julia Child” and the conversation would have been over. However Child, dear as she was, was not a restaurant chef like the other women I listed. And it’s a sign of the sea change in the professional kitchen--a once exclusive male enclave in which women have made substantial inroads. Moskin writes about the implications of this change for women in the industry, while also noting where there’s still a ways to go. New York Times: “Breaking Free From Winter’s Hold With a Lemony Escarole Soup,” by Melissa Clark. As I sit in my living room writing it’s snowing outside. And I wish I had a warm bowl of Clark’s Lemony Egg Soup with Escarole, a simple, heavenly sounding concoction based on a Greek avgolemono. Washington Post: “Soup secrets: Could the pros help me make a bowl of something restaurant-worthy?” by Jane Black. I’ve been thinking recently that I’d like to make a really good carrot soup. Jane Black to the rescue! 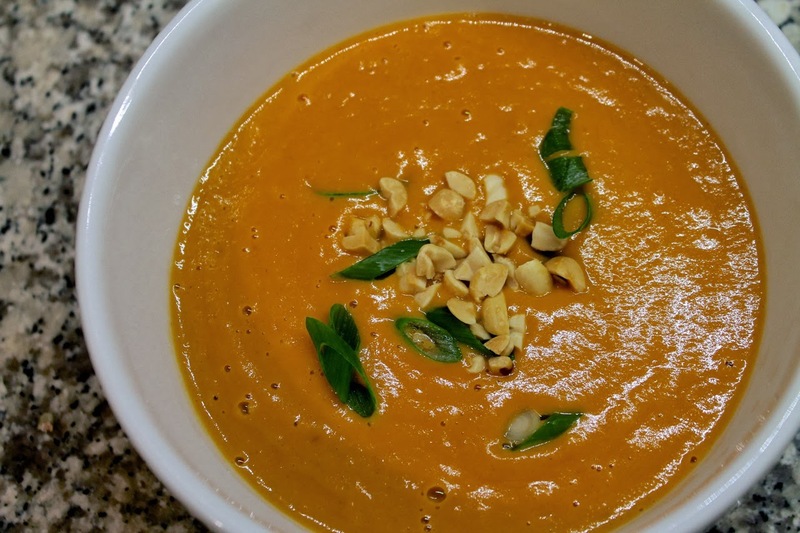 In addition to offering a recipe for her “killer” Carrot-Curry Soup, she recounts her time in culinary school years ago where she attempted to make consommé. 101 Cookbooks: “Immunity Soup Recipe,” by Heidi Swanson. Feeling under the weather? Swanson’s potent broth made with a generous amount of white pepper, ginger and garlic is guaranteed to open your sinuses. The Asian-inspired soup also includes tofu and mushrooms and other seasonal accents (like corn in summer). Washington Post: “Dumpling party marks Korean New Year with hundreds of mandu and dozens of eaters,” by Cathy Barrow. The approach of the lunar New Year, celebrated in many Asian countries, it’s a good time to brush up on dumpling skills. Barrow chronicles how one household turns the occasion into a large party: Dumplingfest. Bon Appétit: “How to Eat Cheese Fondue the Proper Swiss/French Way,” by Ann Mah. Cheese fondue is one of my very favorite things, but I didn’t realize, until reading Mah’s article, that I might be breaking fondue’s rule of etiquette when I eat it (thankfully, I’ve never enjoyed the dish in front of someone from France or Switzerland). CNN Eatocracy: “7 greatest fats - ranked!,” by Josh Ozersky. I love a good food list, and I’ve never seen anyone rank the best fats, which is a genius idea. Of course butter is #1 (and I totally agree), but what else made the cut? I won't spoil it. Good collection of stories, as always. Who knew we were breaking so many rules of fondue etiquette all these years? I think we should schedule a fondue night soon so we can do it the right way.